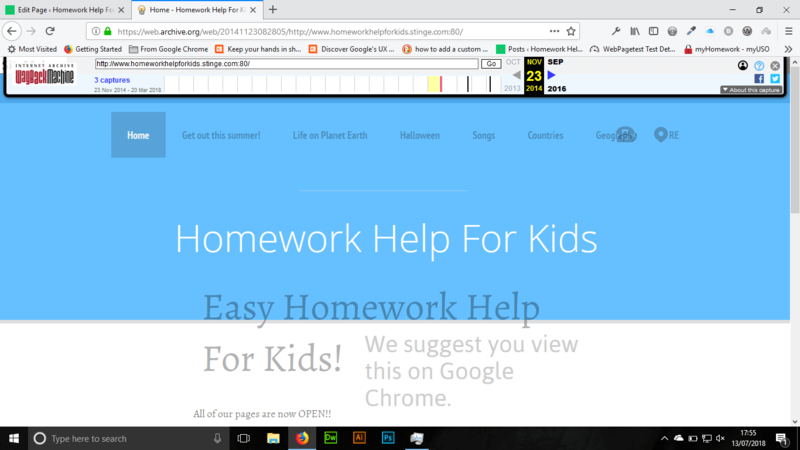 Homework Help For Kids is a simple, free site (and an app, which can be downloaded for free from the Windows Store at bit.ly/2bgjYol and as an APK at the link in the footer.) that has information that can help you “with your piles of homework.” We don’t have any adverts whatsoever, so you can get on with your homework. We provide useful homework help for primary and secondary school. And the best thing is: it’s free! 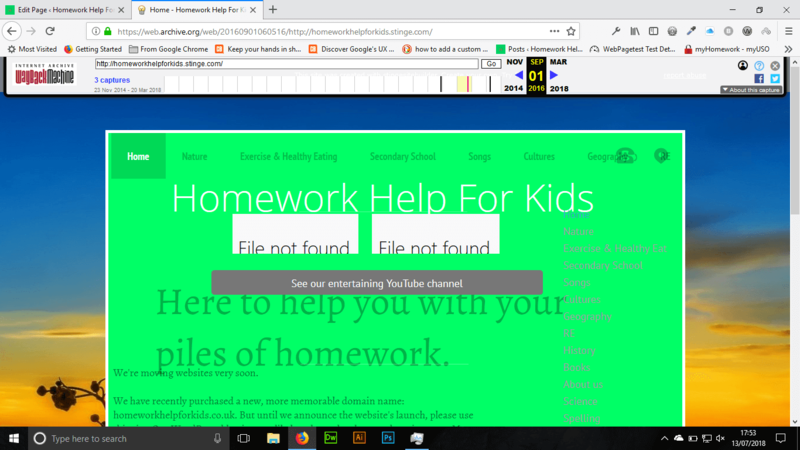 We started life in 2013/2014 as a small website (the URL is homeworkhelpforkids.stinge.com, which we took down a year ago) built using a little-known free drag-and-drop website builder called Stinge Site Builder, which no longer exists. Because it was a free website builder, we were limited to 15 pages. And those pages could only have so much content on it each, meaning we could only have so much content, meaning the pages we did have were filled to the brim with content. Some of the content we have moved to this site without changing it – although we did update some of it. The website was mainly used as a blog (even though it said it wasn’t) and in August 2016, we purchased the domain homeworkhelpforkids.co.uk and some hosting to go along with it. From the 6th July to the 13th July 2018, we have had 523 users and 525 sessions.